“Logical family” is the term gay writer Armistead Maupin invented to refer to people who are not biological family, but love each other through the joys and pains of life. For queer communities, logical family has been a necessity, as our families and communities of origin have sometimes rejected us. Another person who believed in logical family was Jesus: “‘Who is my mother, and who are my brothers?’ Pointing to his disciples, he said, ‘Here are my mother and my brothers. '” (Matt 12:48-49). Interesting that Jesus explicitly uses the word “mother.” Did Jesus have a mother in his traveling logical family? Or was he the mother of his unruly brood of followers? 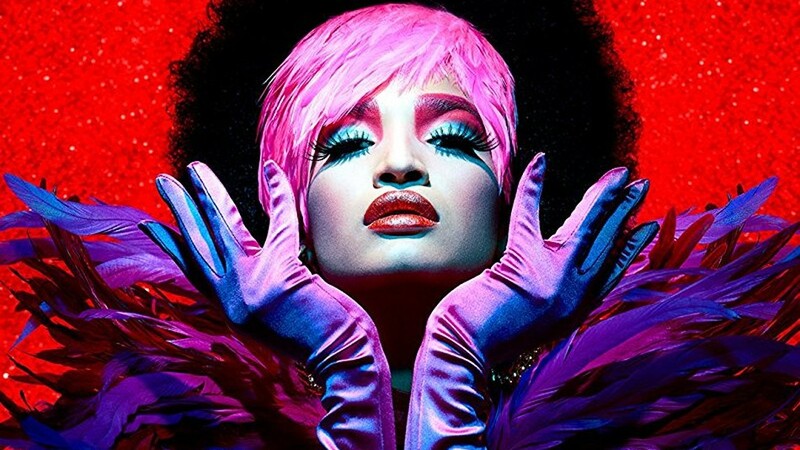 The idea of mothers and families is at the center of Ryan Murphy’s latest blockbuster series, Pose (FX, streaming). The series is about the ball culture of the 1980s, a community of black and Latino/a fashion divas, vogue dancers, and drag performers in Harlem. The documentary Paris Is Burning, and Madonna’s smash hit “Vogue” exposed this subculture to a broader audience around 1990. Ball culture is based on “houses,” a family of ball performers overseen by a house mother. Membership in the house is based both on talent (having some performance skill) and individual need. When Jesus said, “Whatever you have done for the least of these, you have done for me,” he could be talking about the “children” of the ball scene. These are queer people of color, who are frequently on the fringe of more assimilated forms of gay culture, and estranged from their families of origin. Many house members are trans, and may be going through a process of gender transition by taking hormones or scraping together money for gender confirmation surgeries. This community is also highly susceptible to HIV/AIDS, and in the 1980s, there were no effective treatments for the disease—a diagnosis was a death sentence. Dominique Jackson as Elektra, the Queen Mother of the House of Abundance. This is where Pose starts, in 1987, as the series protagonist, Blanca Rodriguez (MJ Rodriguez) goes to a clinic where she is diagnosed as HIV positive. She accepts the news with stoic silence, but realizes she needs to get on with fulfilling her dreams in the time she has left. Blanca is from the House of Abundance, overseen by the beautiful but imperious mother Elektra (Dominique Jackson). Blanca breaks with Abundance to start her own house, the House of Evangelista. The next scenes are like the calling of the disciples, as Blanca gathers misfits and castoffs to form her new unit. She finds Damon (Ryan Jamaal Swain) a Pennsylvania boy who has been kicked out of his home for being gay, but has aspirations of being a professional dancer. Blanca also picks up Angel (Indya Moore) another House of Abundance castoff who has been making a living as a stripper and prostitute. Damon’s homeless boyfriend Ricky (Dyllón Burnside) and another street kid named Papi (Angel Bismark Curiel) round out the group. 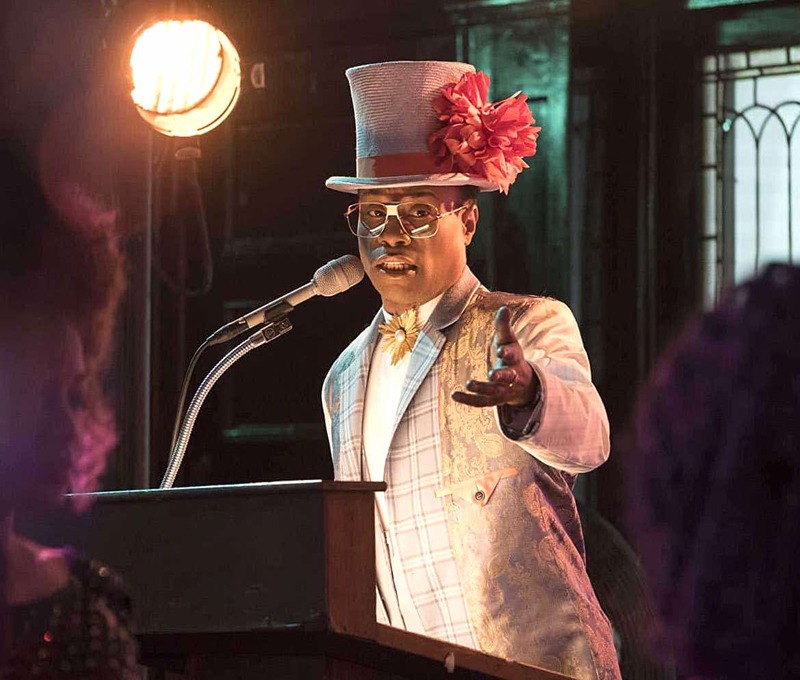 The unofficial father figure of the family is the MC of the ball circuit, who goes by the name Pray Tell, and is played by the magnificent Billy Porter. Tony winner Billy Porter as Pray Tell in Pose. The balls themselves are part fashion show, part dance contest. The contestants “walk” the ball in a dizzying array of categories, like “femme queen realness,” “executive realness,” and “face.” There are different qualities of femininity, masculinity, and social position that contestants dress up as or otherwise inhabit, to the cheers and judgment of the ball-goers. Ball performers see the “illusion” created in the ballroom as “real,” and the false selves they have to show to get by in the outside world as fake. If someone believes she is Alexis Carrington in Dynasty, she can live that persona in the ballroom, even if the rest of the world doesn’t acknowledge her. The Pose writers have woven several compelling storylines throughout the show, and the balls, spectacular and colorful set pieces on their own, help advance the plot. The drama between the “legendary” House of Abundance and the upstart House of Evangelista is a part of every episode. Several comic montage scenes show the extent Elektra will go to stay on top. (Including a heist from a Bloomingdales and looting royal costumes from a museum show.) Damon’s desire to be accepted as a dance student at The New School and his struggle to keep up with his rigorous training offers a Fame feel. One of the most moving threads is Pray Tell’s care for his lover Costas (Johnny Sibilly) who is dying of AIDS. Angel is in a relationship with a white married man, Stan Bowes (Evan Peters) a rising executive who works in Trump Tower. (Of course he does.) Stan knows about Angel’s “secret” but is drawn to her because she is living a more authentic life than him. Every time the two get together, we are reminded of the impossibility of their relationship, where the contrast in their ethnicity, class, and expectations of gender and sexuality constantly intrude on their relationship. The one who has the most at risk here is Angel. She’s as tough as they come, but you can’t help but watch her scenes through your fingers as you realize how vulnerable she is to the violent world around her. Elektra would seem to be in a better position, with a longtime boyfriend who keeps her in couture and jewels. The price he exacts from her is that she not have the surgery. He sees Elektra as an exotic toy that only he can have. Eventually, Elektra has to make a decision between not having surgery and hanging onto financial security or having surgery because that’s what she needs to feel whole. The performances are fantastic throughout. This is the largest trans cast—much less one with trans women of color—in the history of mainstream television, led by the trio of Rodriguez, Jackson, and Moore. As Blanca, MJ Rodriguez is earnest and tough, a heroine figure in watching out for and providing for her children. If you’ve seen Paris Is Burning, she seems a lot like Angie Xtravaganza, a saintly house mother who was wise beyond her years. In a performance reminiscent of Vanessa Williams’ fashion editor in Ugly Betty, Dominique Jackson as Elektra provides a welcome dose of camp humor. She reigns over her house like a queen and demands only one thing from her children: complete adoration. This makes her all the more moving during moments of vulnerability. Indya Moore is radiant as Angel, playing the role with both sensual grace and sharp intelligence. She’s clearly the breakout star of Pose and should have her pick of roles after this show—that is, if Hollywood can make room for an actress of phenomenal talent who just happens to be trans. Billy Porter rounds out the stars of the show in a role that should provide the “E” in his E.G.O.T. As Pray Tell, he keeps the ball scenes rolling with devastating wit and magnetism that reminds you of the MC in Cabaret. Away from the ballroom, we see a man who lives a life of tattered style and defiant dignity. With a story that focuses on a vulnerable subculture, there is always the question of exploitation and narrative ownership. This is a continuing critique of both Paris Is Burning and Madonna’s appropriation of vogueing, however important those events were culturally. Ryan Murphy seems to have worked hard to get the Pose story right with the community it portrays. 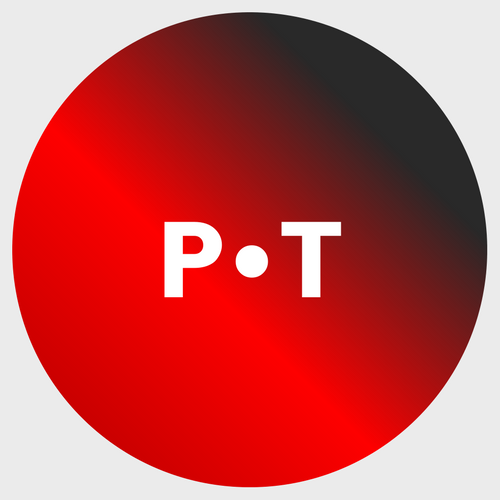 In addition to its excellent cast, the show benefits from trans producers, writers, and directors like Silas Howard, Janet Mock, and Our Lady J, and consultants like Paris Is Burning veterans Jose Gutierrez Xtravaganza, Hector Xtravaganza, and Freddie Pendavis. Murphy can pretty much write his own checks in Hollywood these days, and he’s using his clout in a collaborative way, so that Pose doesn’t feel the least bit exploitative. Besides, without Murphy and his big checkbook, how would we be able to enjoy all the incredible music cues in this series? Pose offers a deep-cut dive into 80s dance music. You’d expect “I’m Coming Out” and “It’s Raining Men,” in a show like this, but there are songs on Pose I’ve not heard since the last time they were played on Top 40 radio back in the 80s. “In My House,” by the Mary Jane Girls? “Break Out” by Swing Out Sister? “Head to Toe” by Lisa Lisa and Cult Jam? Not to mention early Whitney Houston hits, Janet Jackson, and Tina Turner? Apparently the songs I jammed to on 80s radio were forming the secret gay soundtrack to my life. 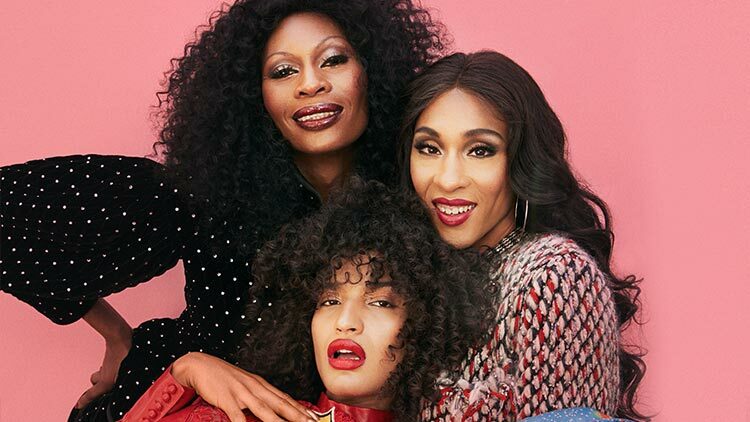 Pose is a groundbreaking queer series that has expanded the possibilities for what can be shown on mainstream television. But its color, costumes, and characters make it eminently entertaining rather than stiflingly earnest. Some critics are calling it the culmination of Ryan Murphy’s career. We can only hope what he and his collaborators have done here is just a touchstone and not a capstone.